If you are reading this article I suggest you want to build a mobile app. Surely, you might do preliminary research on possible mistakes in order to avoid them and create the top-notch product. As you know there are really many mobile apps in the market but less than 1% of apps will be considered financial successful. 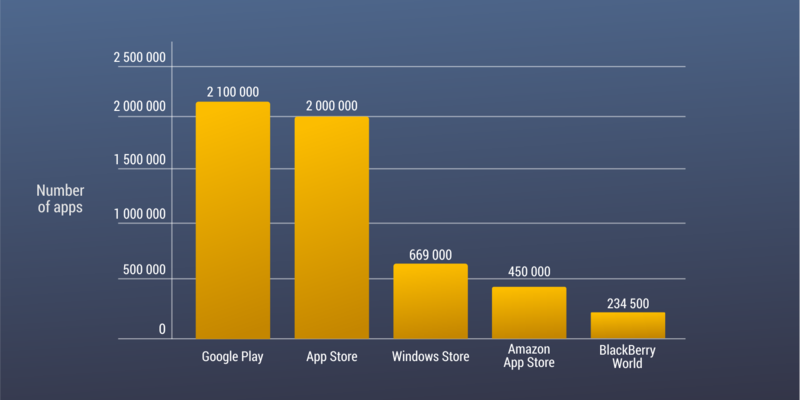 According to Statista research, the number of apps in App Store and Google Play is about 2 mln. When the full number of apps is about 2 mln then 1% is about 20 000 apps in App Store and the same number in Google Play which will really make money for their business owners. So, what should you do to get into this one percent? 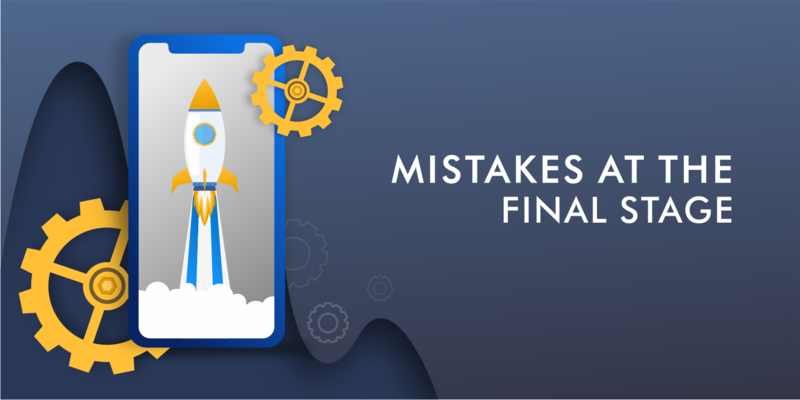 Let’s think of common mistakes people are making while building a mobile app. If you know about them you can avoid most of them. They will be divided into mistakes at the preparatory stage and mistakes at the final stage. 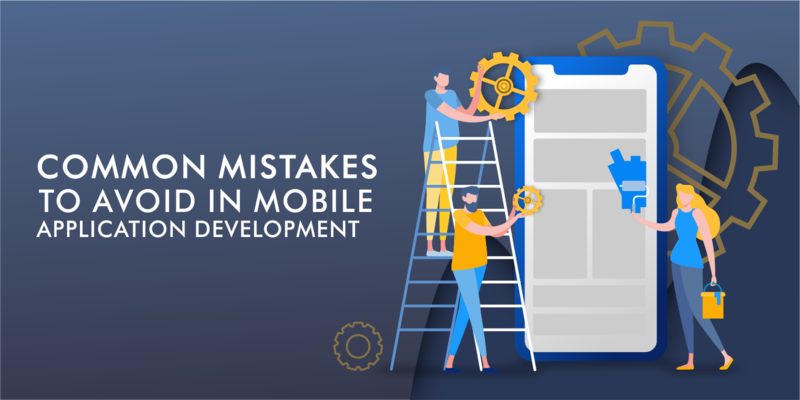 There are many mistakes product owners make at the beginning stage because they are in a hurry to start mobile app development. Let’s discuss the following mistakes more specifically. Before developing an app you have to make a market research and to study competitors, otherwise, the app probably is bound to fail. Are you solving a users’ problem with your app or do you just want to earn money? Survey your target audience and find out its needs. Ask yourself what will drive the people to use your app over competitors. You have to get an understanding of what the users need, how old they are, what they like and dislike. The mobile app for little girls and for businessmen should be different. Otherwise, you risk to waste money and time for the product and then to find out the apps like this one are a dime a dozen. As follows from the above-mentioned, the app shouldn’t be banal, it has to include unique features and one core feature. Some product owners succumbed to the temptation of copy-pasting old ideas and software tool elements into their new app. As you understand, it hasn't done any good. The app offering nothing special is neither competitive nor interesting enough while the competitive mobile app has to be unique and to solve customer needs. Remember, the interface has both to be clear and to provide many features. If you can hardly create an attractive mobile app UI design by your own think of hiring someone who specializes in interface design. Features. The features added to the app must be useful but don’t overload the app with extra features, they distract and annoy users. It is a mistake if you don’t separate core features from additional ones. There is an option to add core and the most necessary features at once and some of the additional features - later in a future update. Sign in. When the user has to sign in/sign up he would rather write his name and email address than fill long registration forms. Integrate it with social media and people can login through their social media profiles. Wasting a lot of time for filling a form, looking at splash animated screens or at interface elements/ads which block the content - all of them are irritating users. Of course, they can download such an app but abandon using it after some time. Icons and interactive elements. Additionally, I’d like to mention mistakes at creating intuitive icons and interactive graphical elements. The standard icons have come into existence after long years of testing and they have become a global identity because of their user-friendliness. For example, you are developing an online shop. The shopping cart in online shops usually has a definite icon and place; the search field is usually placed on top, etc. If you make everything different trying to create the best UI design, the users first have to comprehend things that they are not interested to do. Even if they continue using your app, new icons and elements will distract them from their main goal: shopping. That’s why think first, if it’s a good idea to change all usual elements for new ones. Planning to launch your app on all the existing platforms is a big mistake if you don’t have limitless resources. Firstly, it’ll take a lot of time and money. Secondly, depending on the goal of your app and your target audience one platform is more preferable than the others. That’s why the first thing you need to do is to spend time on researching and understanding which platform meets your needs. My advice for you is not to cover all platforms at once. It’s better to develop an app on the leading platforms - Android and iOS. You should start developing apps for Android if you plan to market them in Asia and Eastern Europe and for iOS if the apps are created for the USA and Western Europe. iOS is usually chosen for paid apps models and Android - for the free ones. Besides, you should find out about particularities, pros and cons concerning launching on each platform. 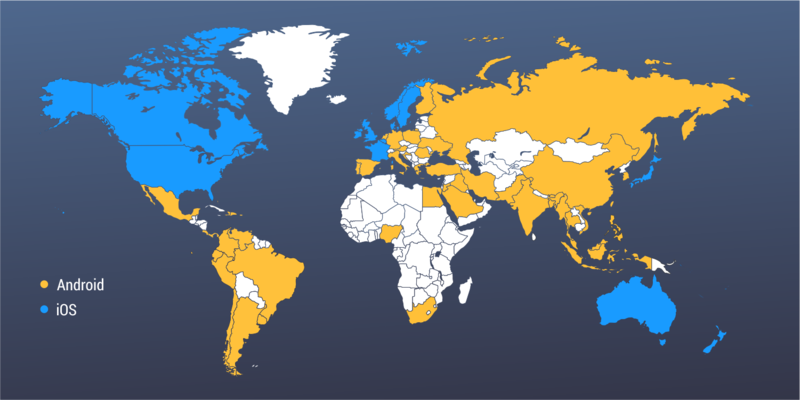 So you have to do the research and to learn which countries your main users belong to. The choice of the platform must depend on it. Of course, after the initial release on the first platform, you can roll out your mobile app to the other platforms a few months later. Another option is to develop a cross-platform application with Ionic and to launch in on both platforms. It’s one of the common mistakes. There are product owners which have got an idea, they try to develop an app as much as possible, invest their time and money, and then they start thinking of marketing strategies. Of course, it’s too late. You comprehend whether it’s interesting for users if there is a demand. You create an audience of potential users which are ready to download it. Now think what you will offer the users: maybe some fascinating screens of the app or a video (it can be interactive when the user is performing some actions). Many product owners try to gloss over some aspects of their apps; on the entrepreneur side, this is quite understandable. But it’s a mistake to make such specific ads after which the users download the app and comprehend: it totally differs from its demo version. 6. Forgetting about additional cost. When developing an app, don’t count with immediate profit. First of all, bear in mind that despite expenses for development there are many other hidden costs. You’ll have to invest in ads, you will add content or features when updating your app. Publishing an app on Apple App Store costs $99 per year and additionally, there is a transaction fee in 15%. In Google Play the fee is $25 for the registration, and the transaction fee is 30%. But for subscriptions this fee decreases to 15% in the second and following paid years. If the users need to store data, e.g. videos and photos, you’ll have to pay for the cloud data storage. Remember costs for the app maintenance: you’ll need to fix bugs, to solve problems, to add features. Maintenance costs usually take 20% of app's total budget annually. Surely, every product owner is waiting for getting a return on his/her investment. That’s why it’s crucial to decide how to monetize an app. Monetization strategy has to be thought at the preparatory stage, not after having developed the app. When you incorporate your monetization strategy into your app at the beginning you are able to create it according to the general clear plan. If you don’t do it then you’ll choose from restricted options. If this strategy is implemented in a wrong way it’ll negatively impact the user experience. So, our advice is: learn about all possible models of the monetization and decide which one to use or which ones to combine. Also, learn about the most common monetization mistakes. Here’s an article where you find the needed info: How to monetize your mobile app: best choice for successful startups. Other mistakes happen at the late stage, when the mobile app is being tested and when it’s released. Unfortunately many product owners just want to build the app and forget that users should stay interested in it for a longer period. So let’s look at the mistakes at the final stage. Some product owners and developers are in a hurry to release the app but remember the quality is important! After your app is ready it’s time to start testing, not release. 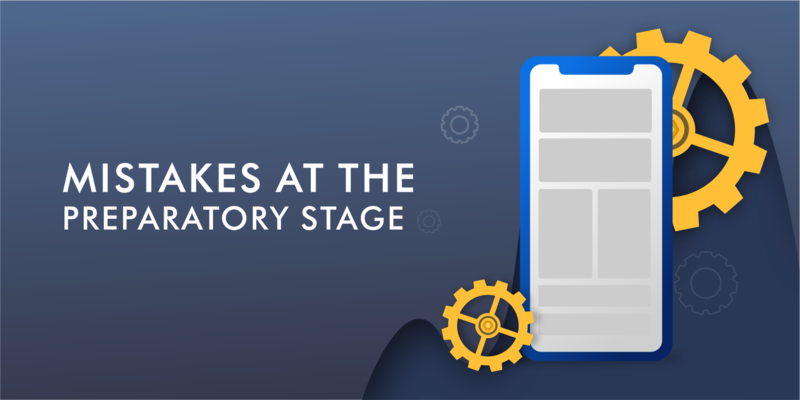 This stage discovers problems with the app and catches bugs. It’s a must that the mobile app is tested thoroughly on many devices. Bear in mind it’s up to you whether you find some mistakes and problems or whether the users encounter these bugs. After release, the app is downloaded by many users and they have fun with it. But there can be little expectation that you won’t devote time to the app after release and it’ll make a lot of money constantly. If it’s a game the users pass all the levels and what’s next? Adding new levels, characters will refresh the users’ interest. The learning app may get new topics or videos. Retention is important because updates hold interest. You succeed if your app is not only downloaded but used repeatedly. You should find out why users drop off the app and focus on drumming up their interest. Much work has to be done before the release but it should be understood, however, just to release an app is not enough, your job is far from over and these are comments that will guide you. The positive feedback helps to understand what is done correctly, and one-star reviews are valuable because they point the way of improving. It happens rather often that the users point to some mistakes of the app and the product owner isn’t there. Will this app get on top? Will people repeatedly use it? Fix or change features the users dislike and comment that you have taken their opinion into account. After the release you have to support and to make things better, not to forget about your creation. There is no way that some app doesn’t have bugs. They are just part of apps life. But it’s a must of developers to fix bugs quickly. Major bugs have to be fixed as fast as possible as the users aren’t willing to endure them while minor bugs may be able to wait. All the time your apps are in the market you should be keeping an eye on problems and bugs, appearing in them. Figure out what is wrong and release an update. Don’t forget to claim in it that you removed such-and-such bugs. Remember that the main goal is a repeated use. Otherwise, it’ll be very difficult to bring back the audience. All the lifecycle of your app has to consist of updates, new releases and a lot of bug-fixing. As a result, you’ll get the grateful audience and stable revenue. Building a mobile app is a lot of work and it shouldn’t be treated carefully. It’s not a development stage that comes at the beginning, it’s a researching, analysing, making decisions, promoting and consulting. If you haven’t done the mentioned steps you have the high chances to fail. The users have too many choices of mobile apps and you must be interested in fostering the competitiveness of your app. When the app is ready it’s time to test it. After the initial release your job is not over, remember the support, bug-fixing etc. Only in this case the users won’t abandon the downloaded app. Your goal is that they keep using the mobile app. If you are searching for skilled developers to create your mobile app, our team is always ready to help you. So, do not hesiate to contuct us! JS Team Lead, Full-Stack. Custom social networks and mobile apps specialist. Gets inspired about working with startups, supporting creative ideas. 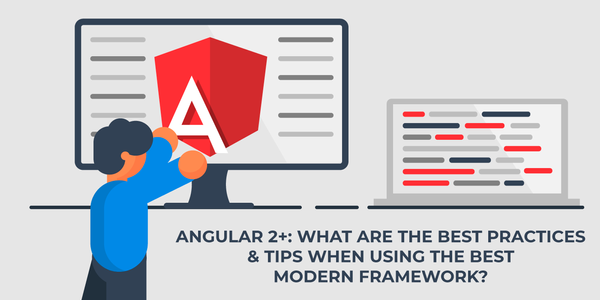 Angular 2+: What are the Best Practices & Tips When Using One of the Best Modern Frameworks? One of the features of Angular 2+ is lazy loadable modules which allow users to minimize the size of the originally downloaded application. 1 Tip - It’s important to capture users’ attention with interesting content. 2 Tip - Turn the educational process into the interesting game. 3 Tip - Create a clear user interface.